Two of the guys and I (Mike) have been working this last week on our second installment of an underground watcher catchment tank (and system). As we’ve been working we’ve had ample time to dream big and discuss the merits of food… and particularly meat. After a few days of discussion, we concluded that what we have been missing for oh-so-long has been smoked meat. And that the best way to address that failing would be to immediately (or the next available weekend at least) begin building our own smokehouse in order to get that homemade beef jerky in us as soon as possible! The afternoon of this decision we went shopping for meat, and subsequently had a meat cutting party. Each of us made a different marinating sauce and cut the beef into appropriate jerky-sized pieces. 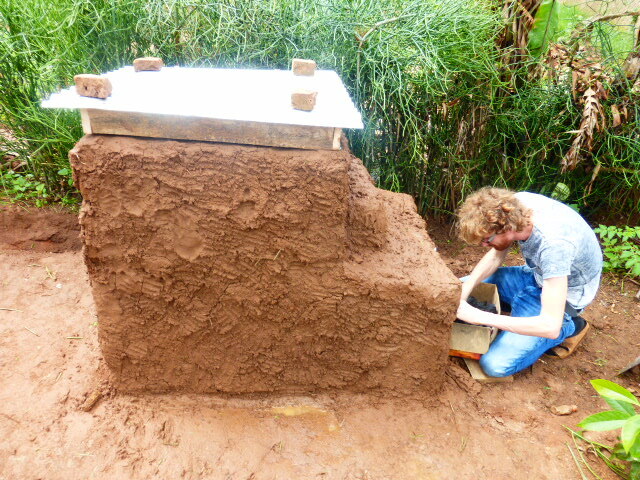 Then on Saturday, we started building a small mud house with two separate rooms: one for the fire and the second for hanging the meat. 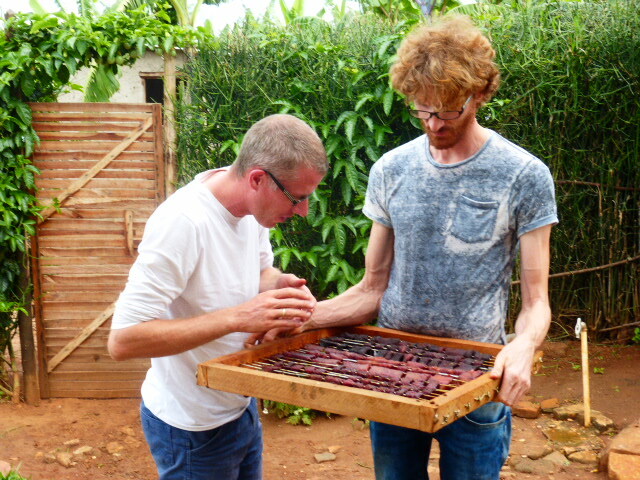 We mudded it well, made some meat-hanging frames, created a tin roof and left it to cure for an appropriate length of time to avoid damaging our structure. After waiting a whole 12-15 hours, we began our first attempt at what could be an incredibly satisfying or monstrously disappointing operation. After hanging the meat from frames and starting the fire we waited most of the day while the jerky smoked. 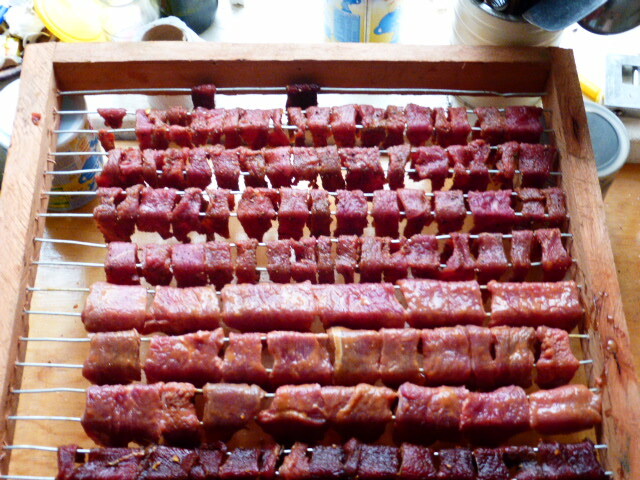 But our patience was rewarded with amazing teriyaki, honey-mustard, and pepper beef jerky! Sunday evening was filled with dreams of smoked hams, cheeses, and sausage, in what will likely prove to be a team building hobby and possibly community building project. Hooray! Its great that you got a new car! Beatrix is doing well – I’ll post some pictures and a baby update sometime soon! Behind every great man Is a woman telling him it won’t work!! LOL. Sorry Amanda!! Love how you get an idea Mike and make it happen!! Love you guys and the work you are doing! Hey! Thanks Aunt BettyAnn! There will be more, I promise. Hasn’t Grandma been showing you the brag-pictures I’ve been sending her?